‘it’s perfect for a statement in decorating’ says Jessica Bellef, Head of Styling @ Temple & Webster. 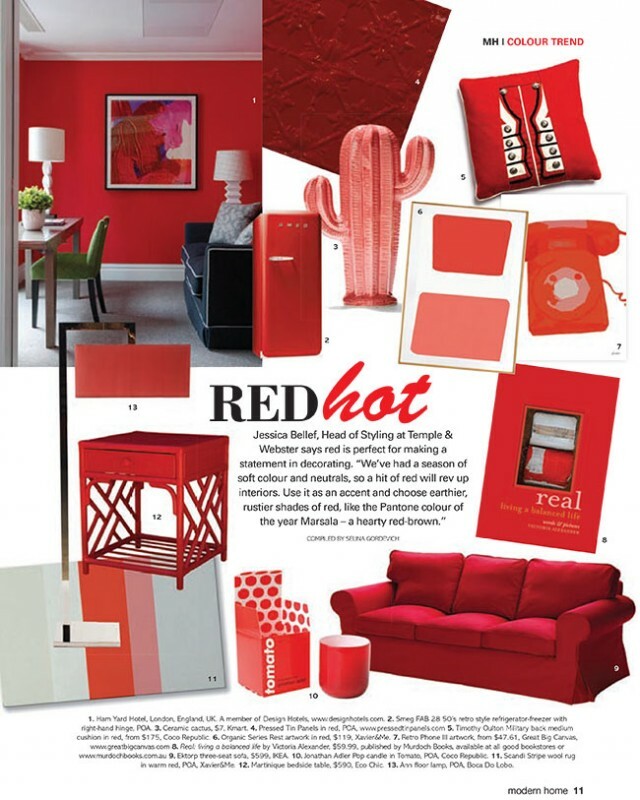 She also sights; ‘a hit of red will rev up interiors’. 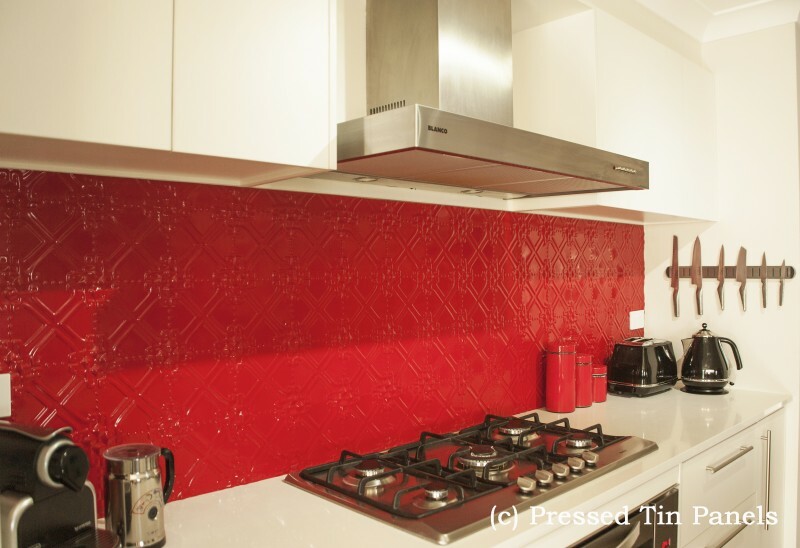 So what better way than using some Pressed Tin Panels metal products! 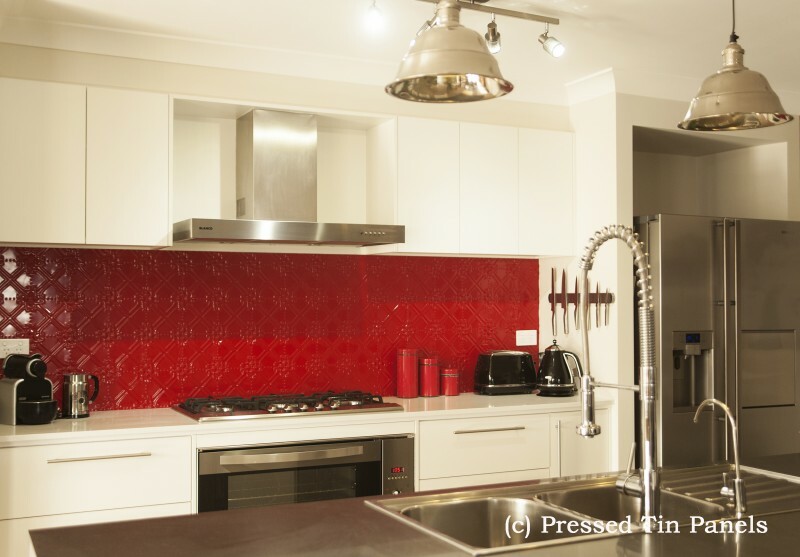 Above images feature our ‘Maze’ pattern powder coated in Dulux ‘Flame Red’ as a kitchen splashback.